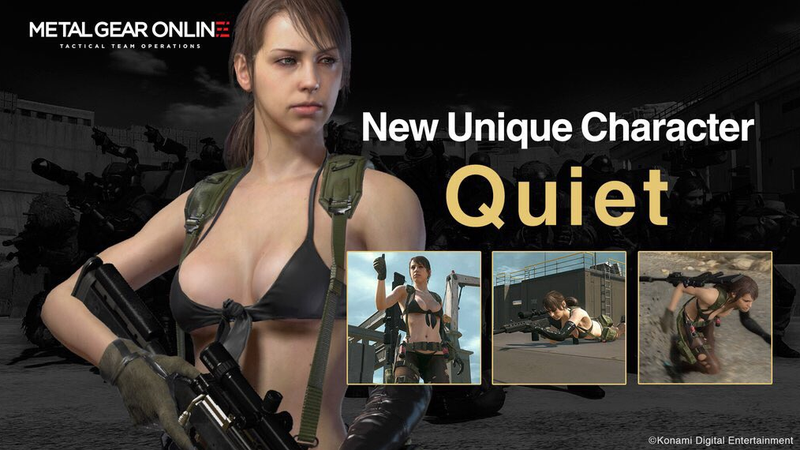 Metal Gear Online’s getting a new DLC update this March. Metal Gear Online’s getting a new DLC update this March. First mentioned here, the upcoming Cloaked in Silence add-on will add Quiet as a playable character and three maps to the game’s multiplayer component while a separate free update introduces a competitive mission called Sabotage. Pricing details are below.